Having worked in parks for close to twenty years I have seen just about everything happen with campers in campgrounds. I can’t even tell you the number of sad looks I get each weekend when I have to tell people that the campsite is full and we have no spots. I want to help make sure that you have the best experience possible while camping in a park. These are my tips for making sure you get the best experience and leave with a smile! Make campsite reservations as soon as you can. Campsite Reservations have become the norm in today’s campgrounds. Packing a car at the last minute on a Friday afternoon and rushing to a park typically leads to disappointment and driving around to multiple campgrounds all with their Campground Full signs posted. You end up camping in your car overnight at the Wal-Mart parking lot or the local motel/hotel with everyone complaining about this being the worst vacation ever. Buy campfire wood on site. Have you heard the slogan “Burn it where you buy it?” I know that you may save you a few dollars by carrying wood from home but the real threat here is transporting bugs/beetles and disease to a healthy stand of trees. Remember that trees in a campground can already be stressed due to soil compaction from campers which makes them susceptible to beetles and disease. It would be very disappointing to find that your favorite campground is now closed due to tree disease and all the trees have been removed. Bring cash with small bills with you. I see several people coming to the park with only carry credit cards on them. Remember that you are going outdoors and internet service can be sketchy at best. This means that several parks are unable to take credit cards at all. Also, remember that you may have to self-pay for your campsite that is something like $22.00 a night. If you only managed to bring a $100 bill or several $20 bills you will be leaving a healthy donation to the park system. Several campgrounds require you to pay for showers so carry quarters with you too. Some showers require tokens and can be bought through a token machine with $1 and $5 dollar bills. Know the park’s pet rules before arriving. Some parks don’t allow pets while others do so long as they are on a leash no more than 8 feet in length and under physical control. Other rules include harassing wildlife, excessive barking and cleaning up after your pet. I ask you to please be good pet owners and follow these rules. There has been a trend nationwide of no longer allowing pets into parks because people are not following the rules and creating problems. I have personally responded to numerous dog bites in my career, been bit twice and charged several times! Remember that pets easily become stressed while in unfamiliar places and people. This can cause even the nicest dog to bite someone. Pack bacon! I consider bacon the official torture smell for all Park Rangers. There is nothing like going to work and heading through the campground and smelling bacon cooking everywhere. For some reason, this smell triggers all hunger senses in your brain and you too now want bacon. I will look at my watch and have another 3 1/2 hours to lunch and the sandwich I packed doesn’t smell as good. Of course, I will notice other campers getting up walking to the restroom starring at the campsite next to them cooking bacon, they have this look of wanting to invite themselves over for breakfast too, perhaps the look of plotting how to get the bacon from them devising a scheme used by the famous bear known for stealing picnic baskets. Save yourself this torture and pack your own bacon and be the envy of the campground. Give yourself free time. Are you a planner? Do you have an Excel Spreadsheet with a breakdown of each day’s activities? Are you the designated group planner and really want to maximize everyone’s time and see as much as humanly possible? TIME OUT! Yes, you! I know you have everyone’s best interest in mind but remember that you are in a park. A big part of this experience is being a part of nature, exploring and having those quality moments with the people you care about. I have seen the look in people’s eyes as they arrive at a park at 11 o’clock at night panicked that the gate will be shut and the look of sheer exhaustion. They spend more time in their car than exploring nature. This happens for several reasons: there was road construction, a traffic accident or perhaps hit rush hour traffic leaving a city. 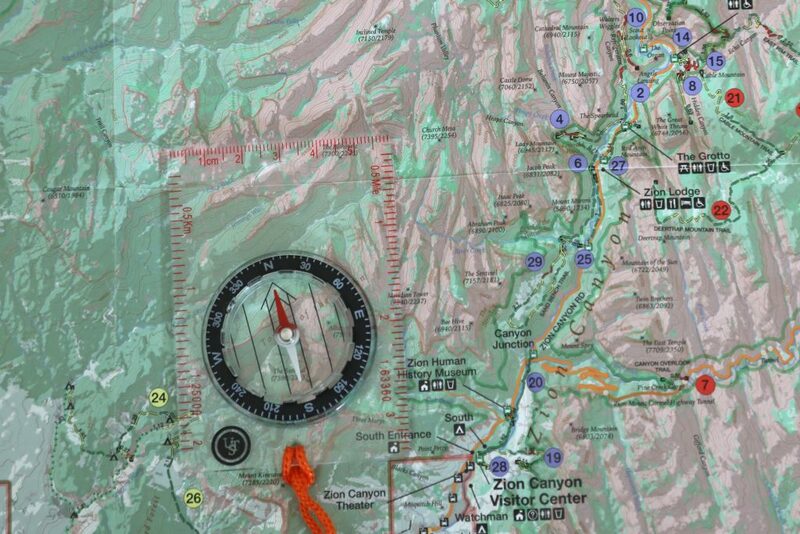 Then there are problems like you arrive at a trailhead and there were no parking, long lines to get into the park or perhaps the weather was bad. 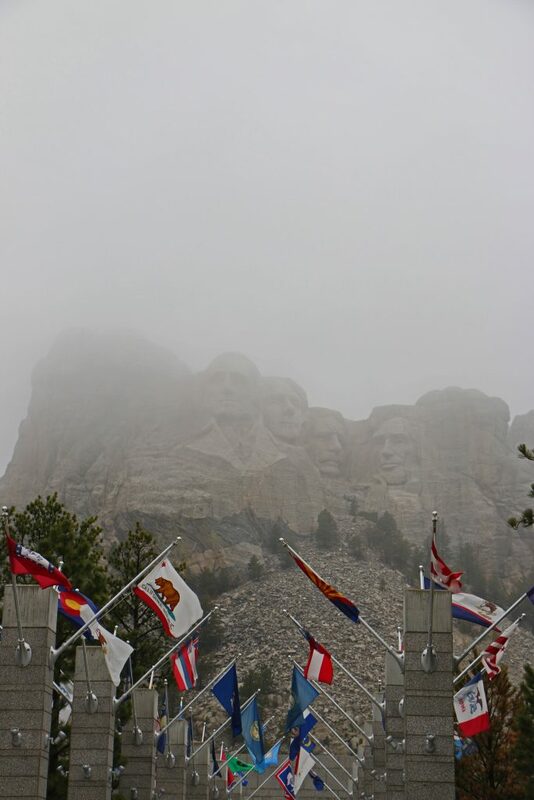 I had planned one day at Mount Rushmore and got up early in the morning and headed out to the park only to find that you couldn’t see a thing due to fog! we waited for hours before finally getting a fuzzy picture when the fog finally burned off enough to barely see it. Just remember to give yourself plenty of time within your itinerary. You can throw in a bonus if you find yourself ahead of schedule and everyone will be pleasantly surprised instead of grumbling as they crawl back into the car the next morning. Test batteries before you leave home. Imagine yourself getting to the campground, get all set up and life is good! It gets dark and you have been sitting by the campfire and nature calls. You grab your flashlight and go to turn it on and nothing. You try again several times with no luck and now you really start to feel the need to get to the restroom. You find yourself stumbling for your cell phone looking for that flashlight app. Wait, your cell phone is dying too as you are in the great outdoors and it has been searching for a signal all day. You find yourself stumbling all the way to the restroom only tripping over one rock along the way. Remember next time to check those batteries before you leave, sometimes they get accidentally turned on during transport. Head over here to look at Battery Testers. Pack fire starter: Most parks have a cut no, pick no law. This means you are not allowed to gather firewood, pine needles or anything else you could potentially use for campfires. Don’t leave stuff out in the campsite, things get stolen and misplaced. I can’t count the number of times that I have responded to a theft in a campsite only to find someone who left their ice chest outside unattended overnight. Raccoons are very smart and can open ice chests for a free meal and local teens have figured out that it’s much easier to walk through a campground at night rummaging through ice chests than trying to find someone and money for beer. Never bring food inside your tent! The smell lasts a lot longer than you realize. Animals like bears can still smell it and who really wants to curl up with a bear inside their tent? Make sure your tent will fit in the campsite. I have worked at two older parks that were built during the CCC (Civilian Conservation Corps) era from 1933 to 1942. Camping during this time typically included one car and one small tent and was never designed for today’s Coleman 10 person Instant Cabin Tent sold at Costco with a whopping 140 sq. feet. If you have a larger tent then you should first check if the campsite will accommodate a large tent. Know what time sunset is! It is your responsibility to give yourself enough time to make it back to your camp before it gets dark. Each year in late July and August people tend to go out for a hike and it gets dark on them much quicker than they expected. 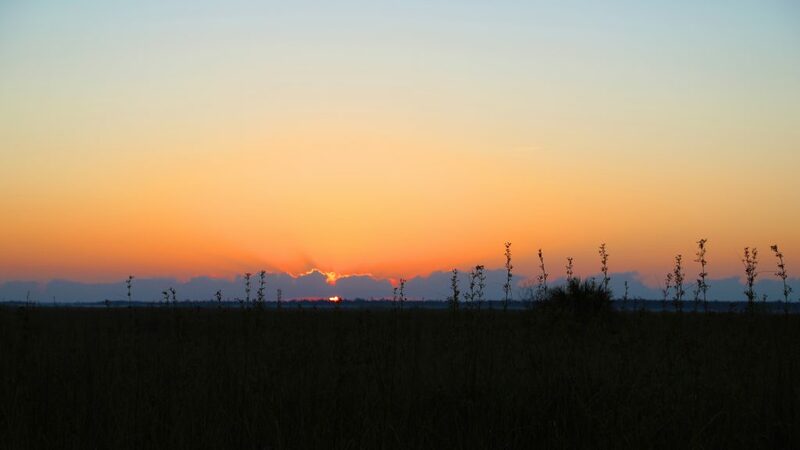 This happens as people forget that sunset comes much faster after the summer solstice around June 21st. Most people are also not used to being in the great outdoors at night and begin hearing every animal that is out to eat them, the Texas Chainsaw Massacre and the Woods are Alive as they grab their cell phones calling 911 begging to be rescued by the Park Ranger! The first question from the 911 operator is what is your location? This answer is often yelled back outdoors with the bears and mountain lions! It is also important that you carry the 10 essentials listed below. Carry the 10 Essentials! I encourage everyone to carry the 10 essentials with them anytime they head outdoors. It’s the one thing you hope to never need but will also be your best friend if the occasion arises and you do need it. Click here for a list of the 10 essentials you should have with you camping! I hope these tips help you have an amazing time in the park! Don’t forget to say hi to the park rangers and ask for their tips! Trust me we all know a lot of tips about our parks and are happy to give you the inside info. Pin this post so you can easily find it! Going to bookmark these tips for my next camping trip! I’m not a camper; had enough growing up hehe… but your tips make sense for my readers so I’ve shared it. Thank you for sharing. Your friend was correct, you are not going to outrun a bear. The best advice is to not scare one or come upon it by surprise. If in bear country you can put bear bells on your boots, always make noise when hiking and especially coming around blind corners and most importantly have some bear spray. The bear spray is pretty effective and will not cause permanent damage to you or the bear. If you do come across one don’t show signs of aggression like starring it down. Also don’t run away as this will trigger the attack mode in a bear. I have personally run across several bears in the woods. I just walked off and acted as if everything was normal and made noise. The next time I go camping I will be sure to keep these tips in mind. Thank you for sharing. WE love going for camping with family. Thanks for sharing such useful tips. Thanks for the great camping tips. I bet it has been over 25 years since I’ve been camping but would like to get out this year and do a bit of camping. for a tenderfoot whose just thinking about doing this, these are very useful learn-without-hard experience tips! Set up your tent at home, make sure you know how to put it together and test it for rain with a hose. Cannot tell you how many times I have had to assist morons who left poles at home or had never read directions. It’s always a great idea to know your equipment before using it. This is a common problem. I have seen countless boxes of new equipment that just came from the local box store and had never been tried out before visiting the park. I love going for camping with my family. Thanks for sharing such informative tips. I am so happy you liked my tips! Do you have a favorite place to go camping? Buying firewood near a campsite is smart, I didn’t realize that taking your own wood can transport invasive species like beetles. A friend of mine is looking to go on an adventure at a nature park. I will let him know that he should not take his own firewood. I think that it’s a good idea to check a park online and see what the grounds are like before reserving a spot. I liked the post! One thing I’d like to add is you should check the weather forecast in the area atleast 2-3 days before you go for camping. Especially if you’re going for a multi day trip. You can prepare accordingly for the trip! Wow! Such awesome tips in regard to parking ranger camping park, I love camping in different places, I remember there were awesome days when I’d first-time camping park ranger camping park for the fun of it and it was fantastic, I glad to have a blog to accompany me in my quest.